We would like to thank the Lord for launching the Greek Orthodox Children Bible. We have distributed 3000 copies Most of the copies have been distributed during Christmas time as a gift for children. 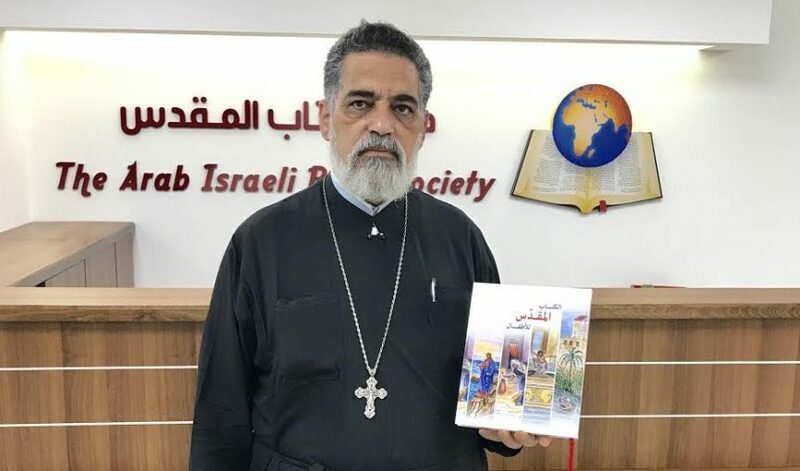 Father Bishara is responsible about the church in Nazareth, he knew about the bible and came to the bible house to take copies for his church and use then during Christmas events as a precious gift for Christmas he is responsible for 17000 members in his church. He has been a priest for the last 33 years in ministry. The following is what he said” for me it is very important for children to know their bible and what we believe, especially in our context were many people has lost hope and love. They need to know the word of God and how, it can help them, in their daily life. I am proud of the book and I would like to use it and distribute it in baptism and Sunday school so that the children will learn about Jesus Christ.” The Bible is our life. Our life is connected with it. For the Greek Orthodox Church this is the first children bible where we have our own translation in Arabic.